RAC is a group of international members who create re-interpretative rock/electronica/dance remixes for musical artists. RAC strives to maintain a style of remixing that strays from the "club mix" archetype, creating new incarnations of songs that stem from the original structure, but expand on their genre and musical arrangement. RAC mixes typically feature a unique blend of hip-hop and vintage drum machine samples, analog synthesizers, melodic hooks, and original performed instrumentation by the remix artists themselves. "Unlike many electronic remixes, which are commonly technical and precise, RAC mixes embody a unique aesthetic based around emotion and nuance, an almost intangible warmth and innate playfulness." The Remix Artist Collective was created in January 2007 by Andr Allen Anjos with partners Andrew Maury (New York) and Karl Kling (Portland). RAC's first release was "Sleeping Lessons (RAC Mix)" for The Shins, earning the remix a spot as a B-Side on the single release for "Australia." The mix, along with several other projects garnered interest among bands like Tokyo Police Club, Bloc Party, and Ra Ra Riot. Since the end of 2007, RAC has been building an empire of indie remix favorites and a quickly growing, word-of-mouth following. RAC has remixed notable artists such as Kings of Leon, Lana Del Rey, Yeah Yeah Yeahs, Edward Sharpe, Death Cab For Cutie, Phoenix, Surfer Blood, Foster The People, Two Door Cinema Club, Delorean, and Washed Out. RAC released their first original song "Hollywood" featuring Penguin Prison's Chris Glover via Green Label Sound on May 3, 2012. 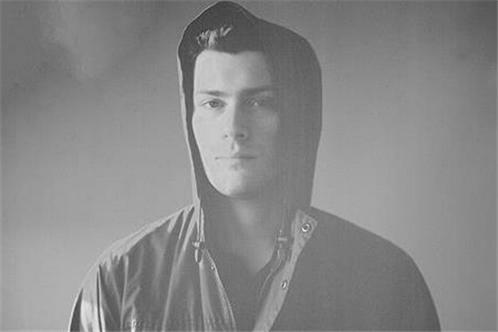 "Hollywood" is the promotional single to the forthcoming debut RAC original album.